Heart Centred Meditations CD by Abby is now available on Amazon! With these CD’s you have a complete healing system! Abby encourages her client’s to meditate regularly to help them connect to their inner wisdom, to clear and clean their energies and to enable them to feel connected to their power and strength, and a source of creativity. She has created this CD set so that you can do this too! These CD’s are only available on Amazon.com, it’s a print-on-demand service and they ship all around the world. helps you clear and ground your energies, teaches you how to create a routine to cleanse and nurture your energy. 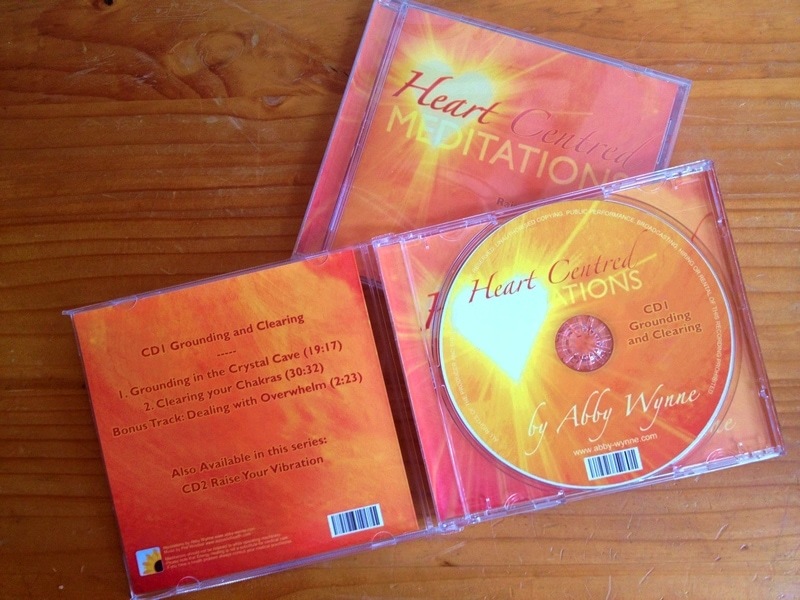 On this CD, Abby guides you all the way, step by step, to both ground and clear your energy field and help you feel more relaxed, reduce your stress levels and feel like you have come “home” to yourself again. energises and expands your energy field leaving you feeling radiant, vibrant and bright, it’s a positive burst of light! The meditations on this CD guide you through a step by step process which is designed to raise the vibration of your personal energy field. By listening to these meditations on a regular basis you will notice an improvement in your general outlook on life, and even in your physical health. You can also buy each track separately as an Mp3 on this website – click here to find out more about each track, what it helps you achieve and you can listen to a sample too!